On May 28, 2015, the Washington State Supreme Court struck down the state’s anti-SLAPP law, following an appeal filed by five individuals who are suing the Olympia Food Co-op for boycotting Israeli products. 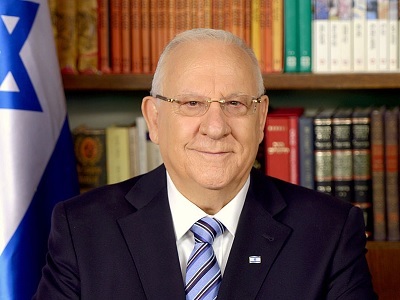 The Israeli advocacy organization StandWithUs immediately hailed the decision as a “BDS Defeat,” “a major setback to the anti-Israel boycott, divestment, sanctions (BDS) campaign,” and an “overwhelming victory.” In reality the Supreme Court did not rule on the merits of the plaintiffs’ case, much less on BDS. Instead it determined that the state law against SLAPP suits—suits designed to deter free speech by imposing a legal and financial burden on the defendant—violated the constitutional right to a trial by jury. As the anti-BDS suit was originally dismissed in Thurston County Superior Court on grounds that it had violated the state anti-SLAPP law—and as the law has been struck down—the case will now resume in that court. At times since then, StandWithUs has publicly denied involvement in the suit, claiming that it had done no more than recommend a StandWithUs-affiliated attorney to the plaintiffs. The case had initially incurred few legal costs, and as StandWithUs-affiliated attorney Rob Sulkin has admitted to working pro bono, StandWithUs could reasonably deny financial sponsorship of the suit. When the trial court ruled against the plaintiffs, it assessed $232,000 in fees and penalties, an amount that would have been an overwhelming burden to the plaintiffs. To appeal the case, the plaintiffs would have had to post a bond for more than that amount – over $400,000 – extremely difficult for the five middle class Olympia plaintiffs. 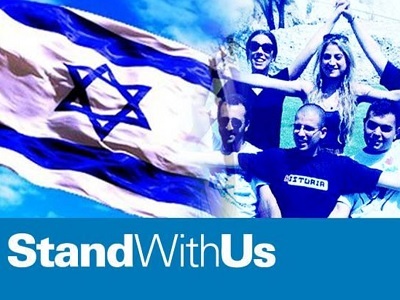 StandWithUs saw the situation the plaintiffs were in – long-time co-op members, supporters of Israel – who now faced devastating financial penalties simply because they stood up for fair treatment of Israel and demanded that their co-op board follow its own rules and bylaws. StandWithUs stepped in and borrowed the money to post the bond for the full amount so that the plaintiffs could challenge the lower court decisions. Yet the claim that StandWithUs’s involvement is incidental—in this case, investing nearly half a million dollars out of sympathy for “five middle class Olympia plaintiffs”—is implausible. One would have to accept that StandWithUs also incidentally organized a “legal presentation” between the plaintiffs and the Israeli consul general six months before the suit, that the plaintiffs incidentally appeared in a StandWithUs anti-BDS propaganda video directed at food cooperatives around the same time, that StandWithUs incidentally referred to the lawsuit as a StandWithUs “project” in its internal documents, that StandWithUs incidentally provided the lead attorney for the plaintiffs, and that an attorney filing an amicus curiae in support of the plaintiffs in the Court of Appeals is also incidentally affiliated with StandWithUs.